Nine days ago (20-Jun-16) I got this message from a person called Joanna Hedger. I just watched “The Cola Road” after a recommendation by IVHQ, and felt the need to send a thank you message. A very inspiring film from a very inspirational company. I will be travelling to Zambia in a few weeks time to volunteer at an orphanage in Livingstone, and so I will be showing your film to my travelling companion next week as it will be her first time to an African country and it highlights very well the situation. All the best for the future Simon and if there is anything you think I can do to help the cause. Please ask. Thanks for taking the time to message me. I will pass your email on the film’s maker, Claire Ward, if you don’t mind. 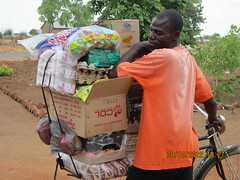 I hope your friend enjoys the film and the best of luck to you both in Livingstone. 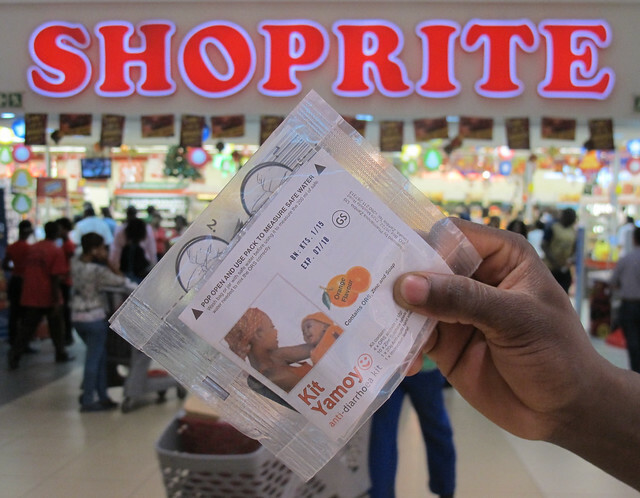 If you get the chance while you are there, visit the Shoprite supermarket and buy Kit Yamoyo for the kids! Tracey and I have decided what to spend your generous contributions on – Kit Yamoyo – life saving rehydration kits from an inspirational company called ColaLife. 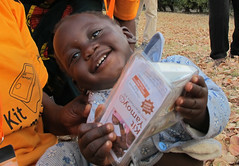 Did you know 1 in 7 Zambian children die before they are 5 years old due to poor hygiene and subsequent diarrhoea? Tracey and I want to do our bit to help change this. Anything you can donate to help with this is much appreciated…. you can donate here at our “GoFundMe” page, and we will personally go to the local “Shoprite” store in Livingstone and purchase the equivalent number of Kit Yamoyos to hand over to the orphanage. It will strengthen, not weaken, the local people, organisations and systems involved in manufacturing Kit Yamoyo and getting onto the shelves in Shoprite in Livingstone. For those concerned about how much profit Shoprite will make out of this, please don’t be. The margin they add is tiny – just enough to cover admin costs.